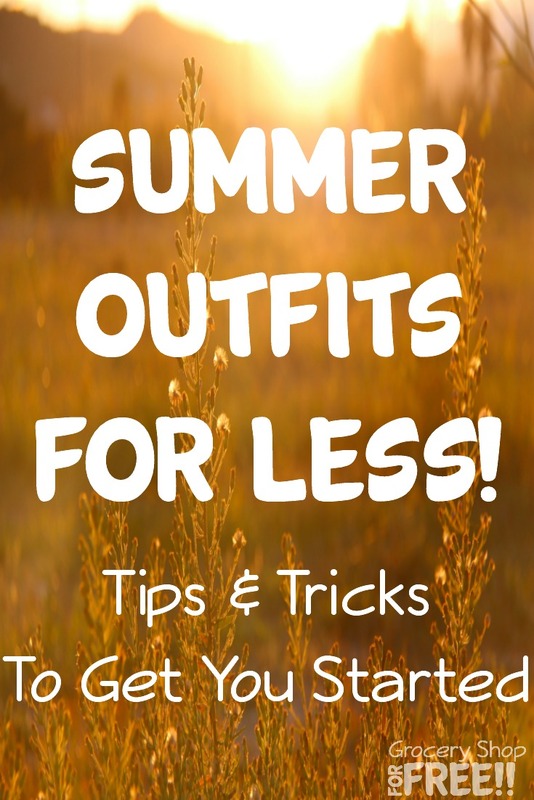 You are here: Home / Sponsored / Summer Outfits For Less! It’s getting hot outside, pretty soon we’ll all be enjoying longer days and fun in the sun! That also means we need a different set of clothes! lol Updating our look for summer doesn’t have to mean we need to spend tons of money. These shopping hacks will leave you with more money in your pocket to help pay for that hard earned vacation! When it comes to finding a few good outfits for the season, make sure you’re tapping all the places where you can really get bargains. As we approach summer, there’ll be plenty of second hand shops with a whole new crop of summer items. These are the perfect spots to pick up a bargain on pre-worn clothing. Don’t forget to look for shops that donate proceeds to your favorite charities, too, it’s a win-win! You might have to be patient and dig around, but you’ll be surprised at how many great things there are and how unique your choices are. Most clothing stores save their big sales for January, and even if they do have a sale before summer, it’s for their unsold winter stock. But that doesn’t mean you have to pay full price when you buy clothes from the big stores. Just because a store isn’t advertising their deals, doesn’t mean they don’t exist. You’re bored with your summer wardrobe, but all the clothes are good – you’re just looking for something different. If you have friends who are in the same position, why not have a night where you all get together and swap clothes? You’ll get a whole new wardrobe, get rid some items of clothing that you no longer wear, and you won’t have to spend a penny! Crack open a bottle of wine, light the BBQ, and make a night of it to really get you into the swing of summer. I once attended a similar swap at a church and it was a lot of fun. We had lunch and made it into a game. I came away with a nice stash of “new” clothes and a completely fun afternoon! If you’re one of those people who buys too many clothes, then you probably have plenty of items in your closet that you’ve simply just forgotten about. Could it time for these pieces to finally see the light of day? If you have old pieces that you’re not so sure about, look into changing them up and creating something of your own taste. Even if you’re not good at sewing you’ll be surprised at what can be achieved with some old pieces of clothing! 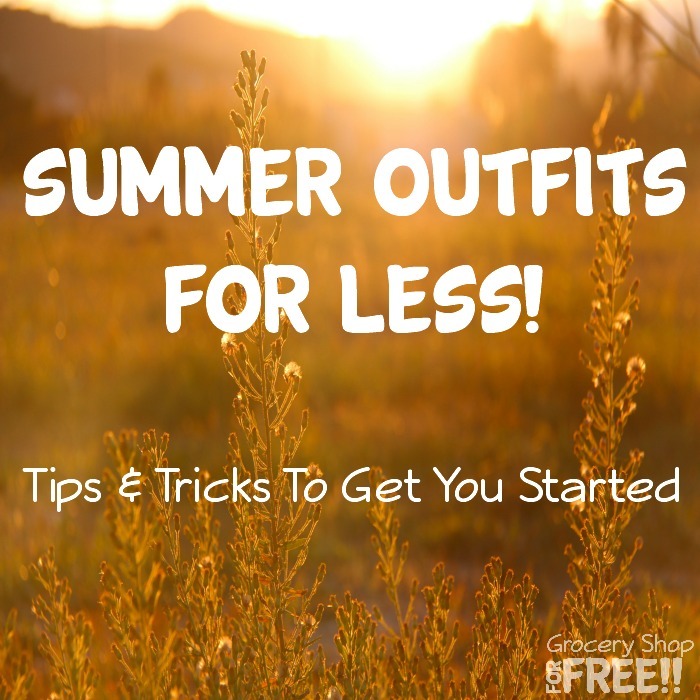 Summer is all about looking good, but you don’t have to buy expensive clothing to look good. Instead, focus on buying a few cheap staples like t-shirts and shorts, and then let accessories do the rest of work. You’ll stand out at any party, yet you’ll have a spent a fraction of what others have paid!